I have been naughty. I meant to blog more once 2018 came along, but things got a little busy. I am sorry and I’ve missed it. Currently my time is being happily consumed by Podcast Lounge planning, at EYF and putting together the next podcast, due out later this month. The other day though, I was going through my stash and I have a few skeins that I really wanted to share with you. When I am admiring friends knitwear and I ask, “what’s the wool?” Sometimes the reply is, “oh! It’s not British!”. This is usually as much as I’m told. Like I am somehow not interested. Other times those words are spoken rather apologetically, like I may be disappointed in them for using other wool. Neither of these things are true. I buy wool from the UK. That is part of my mission to do what I can to support the local wool industry and the people involved. 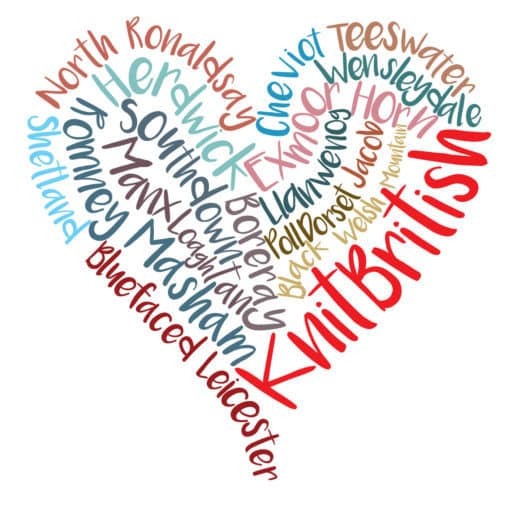 While I use my podcast to extend that mission & promotion of British wool, I always encourage that people seek out local wool, whatever local is to you – be it backdoor, county, state or country. 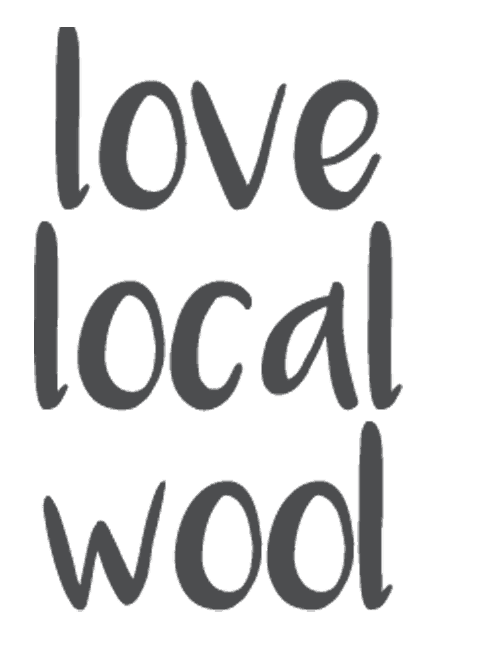 I love exploring local wool and I love that you love exploring your local wool. 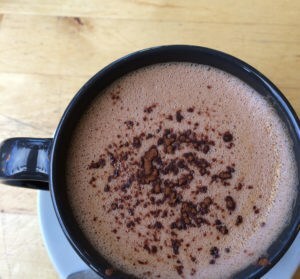 It is great to read about your local wool finds on your blogs, on ravelry and on social media and every once in a while you feel you want to share them with me. That is really moving beyond words. 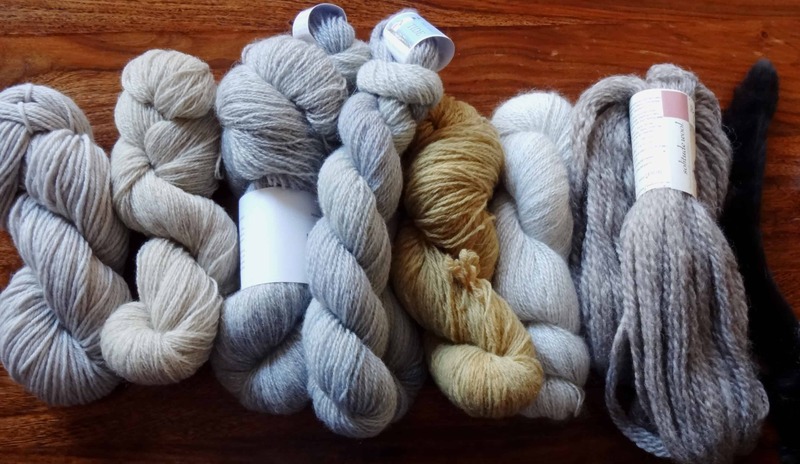 Over the years I’ve been given some incredibly special skeins of yarn, from Australia, from Sweden, from Denmark, from France, from North America, from Iceland – as well as from the UK. These yarns are breeds which are local to those places and the people who sent them. Some contain rare and primitive breeds, others are commercial breeds. 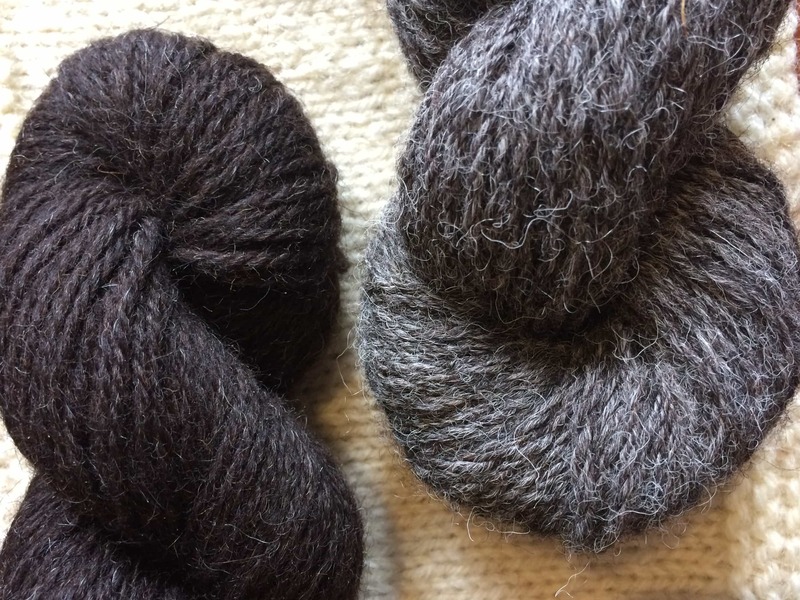 Some of them are hand-spun, some mill spun, others come directly from the farms where the wool was grown, sorted by hand to create a special blend. Some of these yarns have been hand-dyed, using natural dyes. I absolutely treasure these yarns. I cannot even express how much. They are as precious to me as my other stashed yarn, if not more so, and so are the hand-written notes they came with. When I started knitting I used to get given acrylic yarn or fashion yarns as gifts from family members for Christmas and birthdays. Well meant, but not quite well understood. When wool speaks to your soul and someone gets that…well, it makes a special gift. I don’t yet know what I might make with these yarns. Perhaps there is a way to combine them into a project that would be a lovely collaboration, but they are a part of my kindly stash. A small curated collection of yarns that have been given to me with a kindred spirit. I often take out these skeins and remember that spirit, that they were given in such kindness and that they have a lot to say about where they came from. I love their different characteristics and smells. Do you have a special skein of yarn in your stash that was a gift, or has a story to tell? ooohh those yarns look so lovely and touch touch touchable… A while ago Sherie (woollykindknits) sent me two cakes of her own Finn sheep yarn, one is like coal with a glossy lustre, the other is white, and matt like chalk dust…I cherish these so much as it makes me think of a friend who lives a long way away but who is instantly close with a yarn cuddle. My friend who emigrated to NZ 3 years ago today often sends me lovely wool and when I start unravelling it to knit it up, I pretend that she’s at the other side of the world holding the end! Sad, innit??!! Local. Yes! 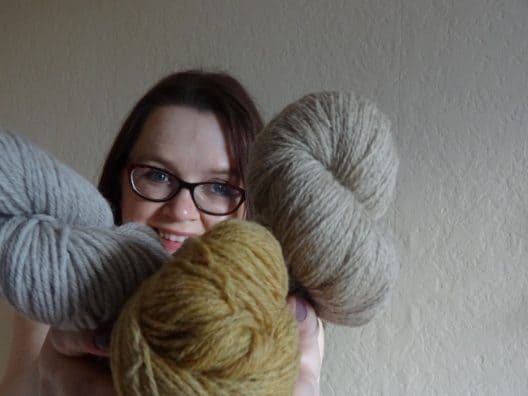 I’ve heard too many times about local, potentially great knitting yarns- and I am speaking of wool – being not just thrown away but also being charged for disposing it. Such a huge commercial nonsense. I’ve tried to make contacts, help saving a flock, but all ended up in pure misery. Not just because of bureaucracy, but of the high prices for every single step from sheep to skein. Anyway, some people in Italy are just great at doing this. And I’ll be more than happy to present you with a sample of their yarns. For you to squish and enjoy in the name of local wool treasures with a story. 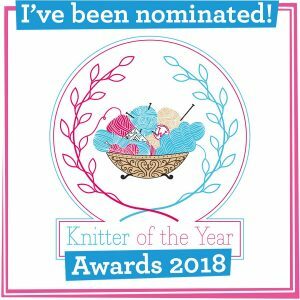 Do, please, contact me via mail or Ravelry (evaowl) or IG (slitknits) for your address. I am sure you’ll love to hear about the Bronia sheep….. I see a skein of Solitude Wool in your stash! Some of my most treasured skeins are from Solitude Wool and I am very lucky to count them as friends and neighbors here in Virginia. Every time I buy or work with their breed specific yarn it makes me want unload the rest of my stash and just knit with their wool- so special! But I’m also a sucker for the wooliness of British yarns and a huge fan of Blacker and Jamiesons. Until early last year, I lived in France, close to Rambouillet, where the breed Rambouillet originated in the late 1700s (introduced to France by Louis XVI). They still breed from the original stock, and once in a while make a yarn from it. 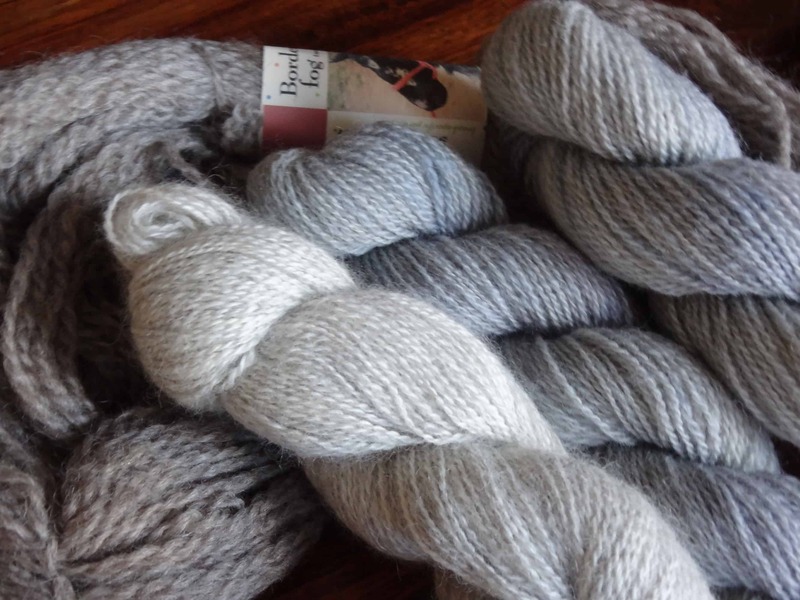 And there was the yarn made by Les Toisons Bretonnes, who use fleeces from sheep breeds local to the Bretagne. Here in Switzerland, I got to know two ladies who started two years ago to make yarn from endangered Swiss sheep breeds – LanaRara. There yarn shop is my LYS ;-). Please tell me the name of their yarn shop. I may be in der Schweiz this summer. Interested to find Swiss breed specific yarn… or even see the flocks! I’m intending to use my acrylic yarn to knit bears for http://motherbearproject.org. They provide a very basic pattern for a knit or crochet teddy bear, and these bears are distributed to children who have been orphaned by AIDS. My favorite stash yarn is a gallon sized ziplock bag of skein remnants given to me by my LYS to use to create or embellish small knit toys. It’s like digging for treasure every time I go through that bag! I enjoy buying the odd skein of yarn when I’m travelling, as a souvenir. My favourite came from the Scottish highlands but not from a LYS. We were walking in the hills and I picked up a large clump of fleece. It had been washed clean by rain and looked beautiful. I took it back to the camper and immediately spun it on a drop spindle, plyed it and skeined it. When I got home I dyed it in colours that made me think of those hills. That skein will never be used, only stroked, as I remember that trip and that day. We saw eagles and got lost (as usual). Ohhhhh yes, 6 hanks of 50% NewZealand merino 50% silk in colourway Tides. Send from those special friends from Australia who on a vacation visited the spinner and hand-dyer in NZ and thought of me.